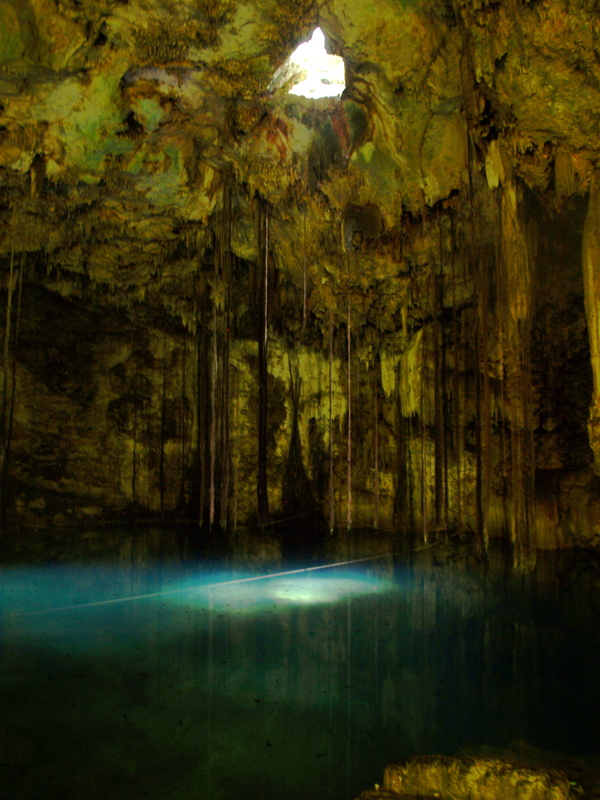 Even for the most seasoned of travelers, the tropical climate of Yucatán can be challenging. The primary challenge is to adapt to the sun and the food. The sun is hot. It is humid. You sweat like a dog. The sun burns you and intoxicates your body. In these conditions one must drink at least a gallon of water a day — when healthy!!! Potassium, magnesium, sodium, vitamin C, and SUGAR! – the electrolytes. Without replenishing these, drinking plain water will not be enough. That’s right: drinking plain water will not be enough. The normal Yucatec diet has plenty of these, but often newcomers may not immediately find all elements of the cuisine to be as appealing as others. Typically what happens is that newcomers do not eat a balanced meal simply because they opt out, for example, from eating chile. The components of the Yucatec diet is a balanced meal – beans, tortillas, meat, onions, tomatoes, chile, lemon, and the condiments. Vitamin C is consumed for example via fresh slices of lemon served with every meal and the famously hot habanero chile. Oranges and orange juice is available everywhere but is not typically consumed in the high quantities that US residents are accustomed. Over the years, we have gotten the families who host students to incorporate oranges/orange juice into breakfast. Drink a few glasses of lemonade for lunch whenever possible. Nonetheless, it is strongly advised that one bring a stash of these supplements. For example, “EmergenC” is one product that is very useful to bring. One might bring enough packets to consume every 2nd or 3rd day if one is participating in the summer field school and/or one is especially susceptible to the sun. WARNING: There is a possibility of overdosing on Vitamin C if you take a daily supplement of 500 mg a day in addition to a normal amount in high-Vitamin C foods. Vitamin C overdose is nothing too serious, it won't kill you! But it will give you very soft, non-explosive near diarrhea like consequences that can last 4-6 days after on-set. Thus, its best to take high quantities of supplemental V-C such as EmergenC on days of sun intoxication, heat stroke, and dehydration. Potassium is available in bananas, yet one should bring this in high quality supplemental form as well. Similarly magnesium in powder form with vitamin C is a high end supplement that can be purchased at speciality health food stores. It is important to have and to take these supplements regularly so as to minimize over exhaustion and sun intoxication as well as during periods of illness involving diarrhea, dysentery, and vomiting. In the US, many seek to limit the intake of salt. There are many reasons why you would want to do that in the USA. However, these reasons do not operate in Yucatán. You NEED salt! You must replenish salt in your diet by regularly salting even over salting your food while in Yucatán. Finally, a word about sugar and Coke — soda, pop, etc. Many will be startled at the amount of Coke and/or sugar that is consumed by the Maya and Mexicans. Curiously, this is not such an evil thing. In fact, people will tell you it is medicinal. It is certainly a very very important commodity for its social uses and significance. Coke, and this is serious, is an important source of sugar and sodium. So, if you refuse to drink sodas and pops, you must find another source of sugar on a daily basis. Unlike the processed foods of the USA, the daily food of Yucatán does NOT HAVE SUGAR ADDITIVES. Thus, you must find a source of sugar and sodium. Fruits are not a common element of the diet; that is fruit does not constitute an element of a meal since it is something of an extra food, a natural snack, something eaten on the fly during the day. It is considered a supplementary food to such an extent that if you were to eat just fruit for a meal, it would be considered something of a joke because you are not really “eating” according to cultural norms. But, further, the sugars of soda/pop and of fresh fruit are different kinds, and you must be sure to get the variety. Cokes, sodas, pops, etc. are in the end therefore a good alternative to many options such as candy bars, cookies, etc. Consider “going native” :-) while in Yucatán and drink some of the bubbly. Everyone drinks bottled water. Period. When living in home-stays in Pisté or elsewhere your family buys water in 20 liter drums. You can refill your private water bottle from this and on occasions you will find it necessary to buy water (as when away from home). This also obtains for participants in the OSEA writer’s workshop who reside in the Miraflores Research Center. Water that is used for cooking that is boiled for more than five minutes is perfectly healthy. Completely healthy. Many families in Mérida use a product that disinfects water by killing microbiotics & bacterias. Thus, for example, they wash vegetables for 10 minutes in water that has a few drops of this stuff. There are different products, some are clorine/bleach based others are not; “microdyn” is one sans bleach and is available in Mérida or your favorite camping supplies store. Your family in Pisté may not use this as it is not necessary. Regular bathing, cooking, and cleaning water is pumped up from wells that are more than 20 meters deep that connect with the underground water table. The water does not come from a surface source that collects or stores water. This water in other words comes through the aquafer and is clean. This product is in other words not necessary. 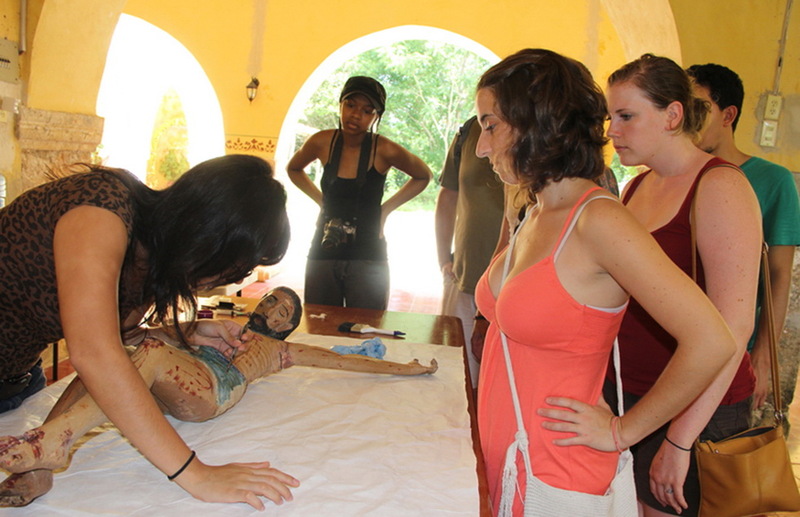 The more you know your body the better when living and doing fieldwork in Yucatán. This is crucial. But this is not enough. Some OSEA participants might be militantly opposed to western medicine and the frightening ease with which doctors prescribe drugs. I strongly support and agree that this is in itself is an illness, a rampant social illness, that must someday be altered. You might even be strongly opposed to even seeing or consulting with an allopathic medical doctor. Or, you might be frightened by the idea of seeing a traditional Maya health provider (i.e., herbalist, masseuse, H-méen or “shaman,” curandero). You might be skeptical and alarmed at the idea of your home-stay “parents” giving you a concoction from the garden when you are sick. But, you must shake loose of these preconceptions and worries. The first thing all participants in field school (winter or summer programs) must recognize is that health and medicine in the tropics is not the same as health and medicine in the USA. There are different illnesses here that do not exist in northern climates. Thus, you must know what your body “says”, what it feels and does, but you must also recognize that you do not (necessarily) know the meaning of symptoms. Nor, do you know the local treatments and cures of the symptoms and causes of illnesses that are found locally. People here get sick with the same things that afflict foreigners. A big difference in getting healthy however is that foreigners do not know the best treatments while locals do! The most common afflictions are due to sun intoxication, over exhaustion, and dehydration. Dehydration can also be caused by diarrhea and vomiting — regardless of the ultimate source (such as viral infection, bacteria, amoebas, food poisoning, sun intoxication, etc.) of those symptoms. Virtually in all cases of illness, you will need to prevent dehydration. The common prescription is something called “suero” — suero is a potent form of electrolytes beverage that contains high quantities of sugar, sodium/salt, potassium, magnesium, and other trace elements. No one likes the taste of suero. Sorry. It tastes bad, yet it must be consumed when sick. If you have diarrhea and vomiting you will go to a local clinic — the Clinica Promesa, which was created by US based Presbyterian Churches from the Midwest. If your vomiting is severe, you will receive an injection to stop the vomiting so that you can consume your medicines. This is most recommended as you always run the risk of throwing up the anti-vomiting pills! Among the typical medicines that you will then be prescribed (depending of course on the illness!) are pills for pain and fever, antibiotics, and pills or drinkable concoction for diarrhea (the latter ranges from kaopectate to under-the-counter stuff). Vomiting and diarrhea require the famous BRAT diet: bread, bananas, rice, apples, BLAND. This means no meats, no eggs, nothing cooked in oil, no condiments, no coffee, no citric, no irritants. Plus: 4-5 liters of water and a liter or two of suero! When having diarrhea it is absolutely essential that you keep track of the color, smell, consistency and frequency of your stools. Your ability to describe these aspects to your doctor will GREATLY facilitate the doctors ability to figure out what illness you have! For example, whether you have simply diarrhea, dysentery, amoebas, or otherwise can be determined by YOUR description of YOUR stools. Once at home, your home stay family might give you things such as “tea” made with orange leaves (this is excellent for settling the stomach), atole made from maicena, and bananas. Because of the sun and change in diet, your body will undergo adaptation. This means that during your fieldwork, participants typically range from periods of “wild stomach” to constipation. This happens but it is always exacerbated by taking western medicines for these discomforts. For example, some people will feel compelled to use a product called lomotil in fear of diarrhea. This however is precisely what will cause you to have constipation and thus fluctuate back and forth between these unfortunate extremes. Eat bananas, especially the small, reddish platano macho, for wild stomach. And eat papaya and mango to get your bowels moving. Above all, let your body find the rhythm by which to adapt and adopt the food. 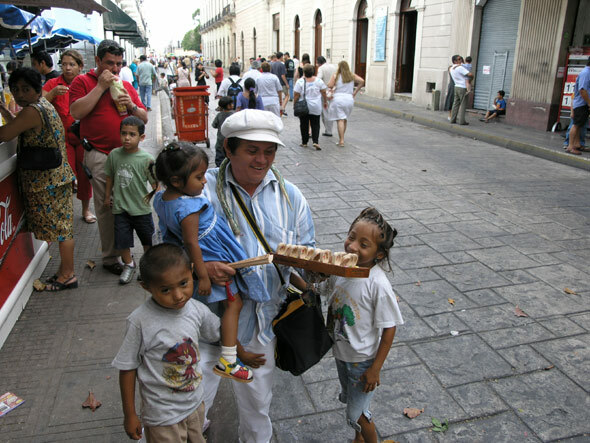 Yucatán is a major tourism destination. 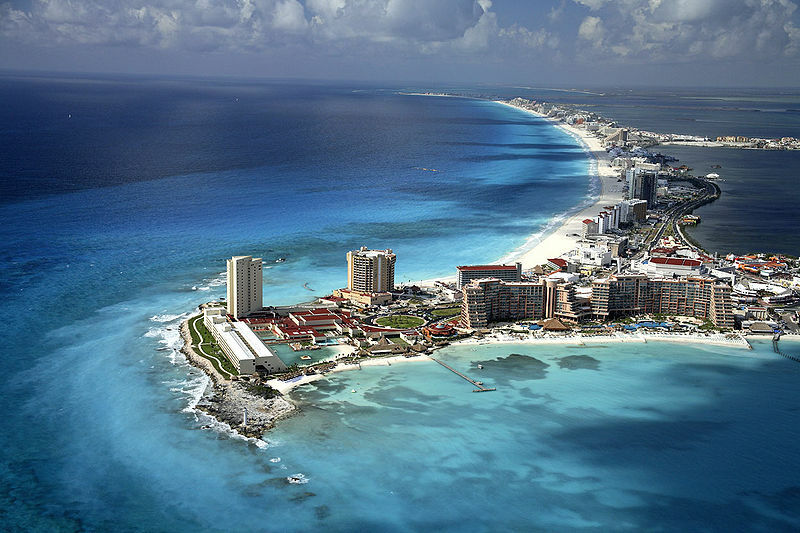 It is one of the most important tourist markets for the Mexican national economy. 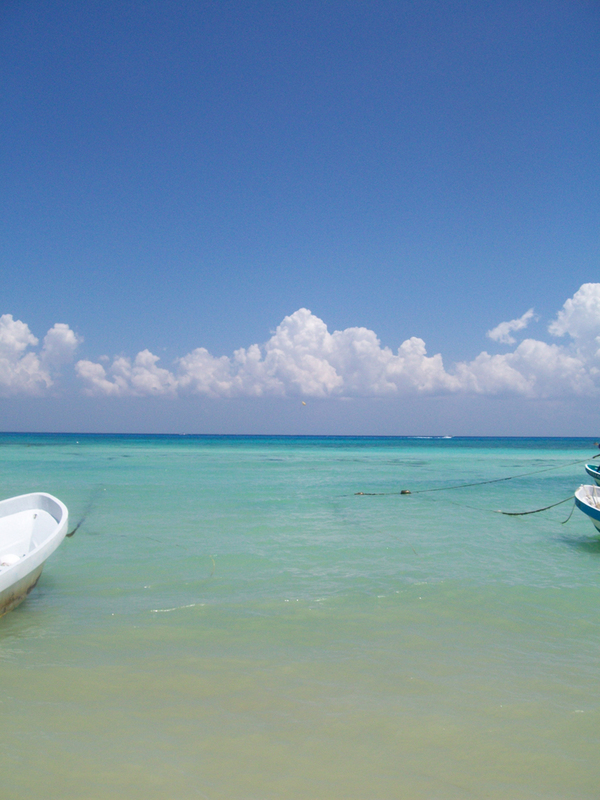 These famously dangerous tropical diseases are extremely rare in Yucatán. They are controlled. Tourists do not like them and the government has ensured that they are not prevalent in any degree. One cannot run a tourist economy with these illnesses floating about. Thus, it is unnecessary and a waste of money to buy and take malaria pills and related preventative medicine for such tropical diseases. These critters of the tropics tend to strike wild fear in people from northern climates. However, the fear is unjustified. First of all Yucatán is not deep tropical forest as are other parts of South America, like the Amazon. Yes, there are snakes, but most are not poisonous. The few that are have been pushed back away from settled urban centers into the jungle. Yes, there are scorpions, but these are more a nuisance. They are small and can be easily controlled with a shoe or sandal. Yes, there are tarantulas. But these too are small. And, unlike horrifying scenes in an early James Bond movie, they are relatively harmless. They are actually quite AFRAID of humans! And you can scare them away with a broom. You must kill them however and burn them so that children or animals do not play with the dead body, which still retains some poison. The poison is not lethal and is only an irritant. But for children tarantula poison is a much more serious matter. Tarantulas are only common during the summer after heavy rains bring them out of their homes in the earth. Centipedes?????!!!! Yes, centipedes are according to everyone quite dangerous. While everyone laughs if you get frightened by a tarantula (there is of course a sexual double entendre involved, but nonetheless…) everyone will immediately tell you that tarantulas are harmless and the REAL worry is centipedes. Their legs have a poison that is of significant seriousness both for adults and especially for children.